One of my favourite things about traveling is getting to try different foods and seeing new ways of preparing sometimes the same ingredients but with a different take. With kids however this can sometimes be trivial as they may not yet be adventurous as we’d like them to be…. So here is a list of my favourite places around Barcelona be it cafes or restaurants that have easy meals for everyone to enjoy. 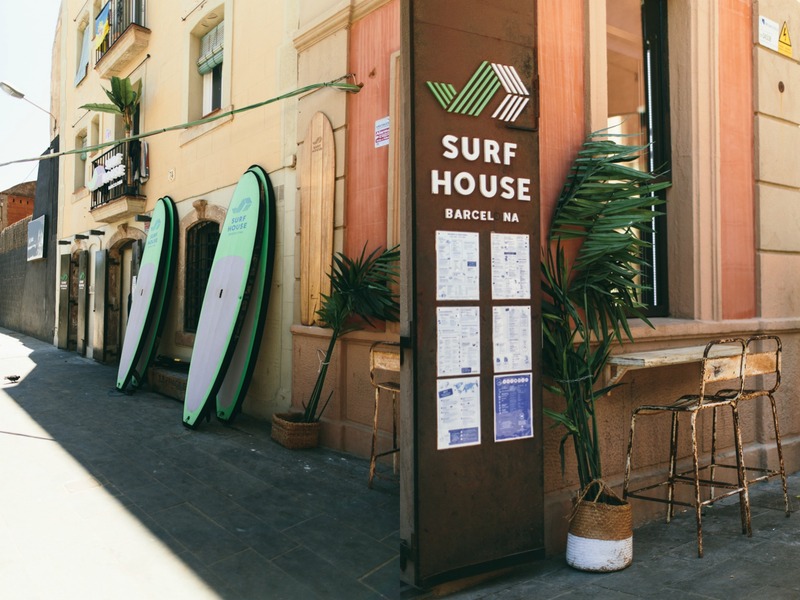 Surf house is a trendy restaurant on the edge of the Barceloneta, looking out over the coastline of Barcelona. 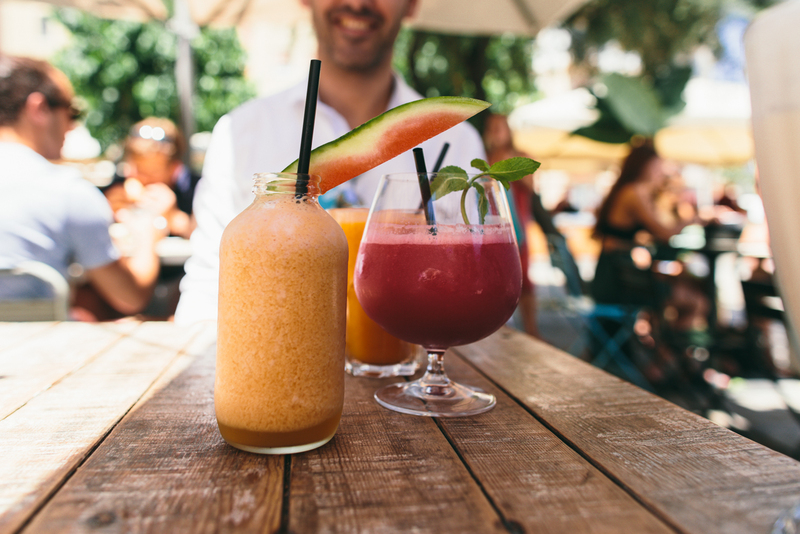 This popular eatery serves comfort food for those who seek a little home away from home, like yummy burgers and nachos as well as some delicious and original fruit juices and smoothies. Read more about the surf house here. Pinhan cafe is nestled between the trees and gardens of the Turo Park. A quiet outdoor cafe where food is served from a caravan. Although not typically Spanish the food is mediterranean, with Turkish Lebanese and Greek influences, serving several meze dishes. The food is good although the service can be a little slow. I highly recommend thick-cut chips with tahini salsa OR garlic yoghurt and paprika butter salsa. Read more about Pinhan cafe and see some pictures here. Cosmo This cute little cafe/restaurant is one of my favourite crowd get aways. Although it is right in the middle of the city just off the Rambla de Catalunya, Cafe Cosmo is on a quiet pedestrian street with trees on both sides, and a garden at the end of the walk. Although not a Spanish eatery, this place benefits of having the comfort afternoon snacks like a killer carrot cake or chocolate chip cookies, but also having salads sandwiches quesadillas, and fantastic fresh juices. Read more about Cosmo and see some pictures here. Picnic Located just next to the Ciutadella park this colonial feel eatery which boasts of its luminous spaces with large windows and high tables. During the warmer months there is a cute outdoor sitting area, and the windows open up so the inside feels like it’s outside. If you can, call and reserve before hand as this place can get a little busy, otherwise if you are in the area and not on peak hours pop by to try your luck. Rumour has it that picnic has the best burger in town, however their eggs Benedict and Duck hash are pretty amazing too.